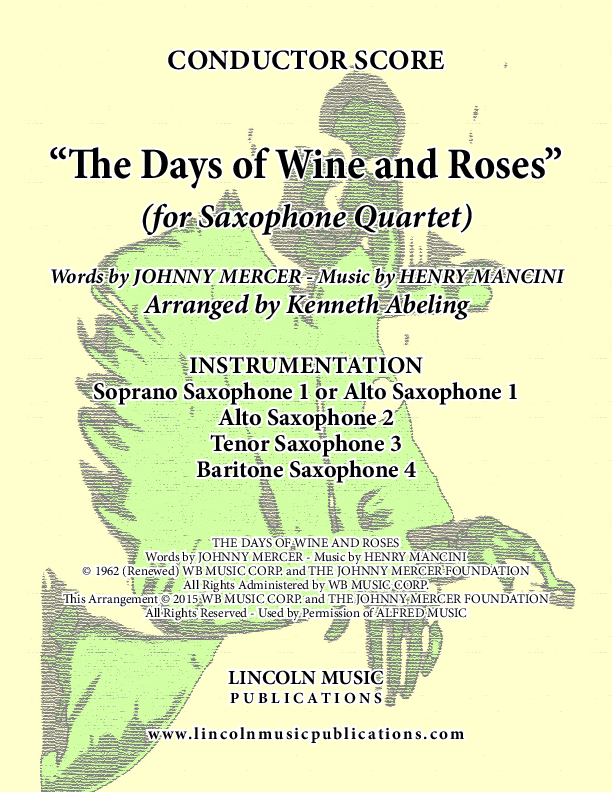 This somewhat challenging arrangement of Henry Mancini’s “The Days of Wine and Roses” for Saxophone Quartet is suitable for both concert performance or background music. The melody is shared amongst all members of the quartet and the piece features tutti and soli sections that will showcase the precision of your quartet! Both Soprano and Alto for Soprano parts are included.